JERUSALEM (AP) — In his first visit to Israel, prospective Republican presidential candidate Ben Carson said he is in awe of the Jewish state, inspired by its ancient holy sites, impressed by the resilience of people living in a perpetual conflict zone — and deeply disappointed in President Barack Obama. “I do not believe that Obama has been one to cultivate the relationship,” said Dr. Carson, a retired neurosurgeon who has emerged as a favorite of some conservatives in the early field of possible GOP candidates. Carson, 63, perhaps best known for his groundbreaking work in separating conjoined twins, is largely unknown to most Americans. But he’s earned hero status among conservative activists thanks to his outspoken criticism of Obama’s health care law. His rags-to-riches story — he had a hardscrabble childhood in inner-city Detroit — and his deep Christian faith also appeal to potential voters. While Carson has said he is “strongly considering” a bid, supporters have already opened offices in the early voting states of Iowa and New Hampshire. 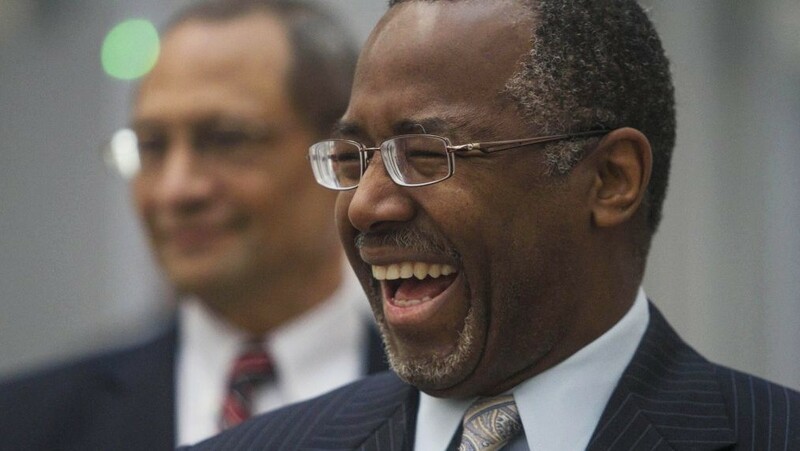 He is one of more than a dozen Republicans eyeing the presidency, and those with little international experience, such as Carson, are working to strengthen their resumes before formally announcing their 2016 plans. 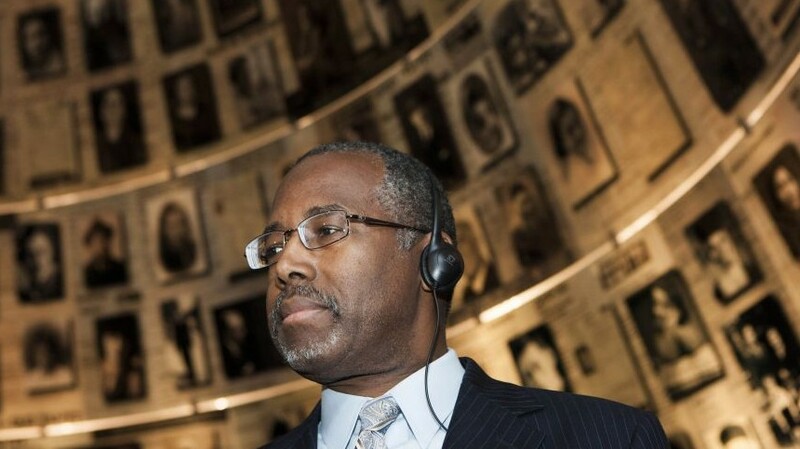 Speaking to the AP, Carson expressed views that are common among Israel’s nationalist right wing. He showed sympathy for Israel’s much-maligned settlement movement and questioned the desire among Palestinians for peace. He even suggested that instead of Israel relinquishing captured land to make way for a Palestinian state, neighboring countries such as Egypt should provide the space for a future Palestine. “That’s one possibility,” he said. Carson is visiting Israel as a guest of “The Face of Israel,” a private group that sponsors trips for “influential decision makers” to promote a positive image of the country and counter “threats to Israel’s international legitimacy.” The trip has included visits to Israel’s northern front with Syria and the southern border with Gaza, and meetings with military officials and everyday people. Although the U.S. remains Israel’s closest and most important ally, Obama and Israeli Prime Minister Benjamin Netanyahu have little personal chemistry and have frequently clashed. The U.S. has been outspoken in its criticism of Israeli settlement construction in the West Bank and east Jerusalem — captured areas claimed by the Palestinians as parts of a future state. At the same time, U.S. Secretary of State John Kerry has made numerous trips to the region and elsewhere to try to broker a peace deal. 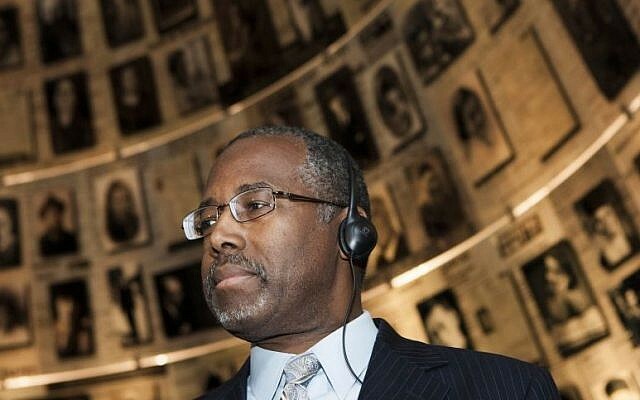 While he expressed sympathy for the plight of Palestinians, Carson said Israeli security concerns were more important in the short term, noting that after Israel’s withdrawal of troops and settlers from the Gaza Strip in 2005, the territory was overrun by Hamas militants. An Israeli withdrawal from the West Bank, he said, would be even riskier, given its proximity to major Israeli cities. There is little disagreement among the GOP’s top prospects on American policy toward Israel, given religious conservatives’ overwhelming support for the Jewish state and the influence of conservative donors like billionaire casino mogul Sheldon Adelson, an outspoken Israel supporter who donated more to Republicans in the last presidential contest than anyone else. Carson said he expects to make a decision on seeking the presidency by May. If he wins the job, he promised a different approach toward Israel.